Learning how to use a GoPro with a drone can be tricky sometimes, that’s the reason I created this small guide containing useful tips on the best video settings for aerial shots and of course a list of GoPro compatible drones. The GoPro line of cameras continue to be highly regarded for their amazing picture and video quality in a world where companies are coming up with new ideas almost every other day about cameras that strive to do something extra while continuing to be a cost-effective investment. Whether you’re using your drone for fun or for other purposes like fishing (yes some people do), going with a drone that uses an external action camera is the best option because you can just replace the camera in case of any issue instead of replacing the drone. It’s hardly difficult to see why GoPro continues to stay at the top despite these. Their products are extremely sturdy, capable of withstanding adverse environmental conditions and also, waterproof. So, even if your camera falls into the pool, you don’t need to panic because chances are, it’s still in an amazing condition. A drone for GoPro allows its users to mount the camera on the drone at the bottom of its underside. This becomes possible by using gimbals and mount brackets. A GoPro drone takes high quality pictures and videos, and is useful in professional fields where aerial shots are required. 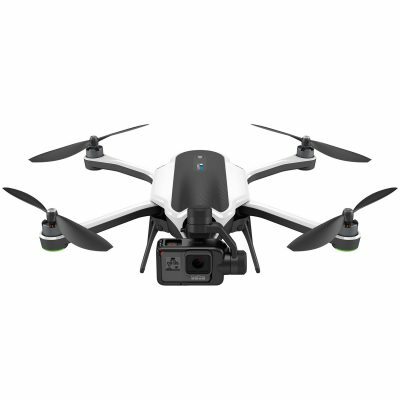 GoPro Karma Quadcopter – The only drone designed by GoPro, it made a come back after the first release was withdrawn from the market, the new release is great and all previous issues were fixed. The gimbal stabilization system rocks on this Karma. It’s usually bundled with a Hero5 Black(Compatible with Hero6 Black, Hero5 Black and Hero4 Black/Silver). 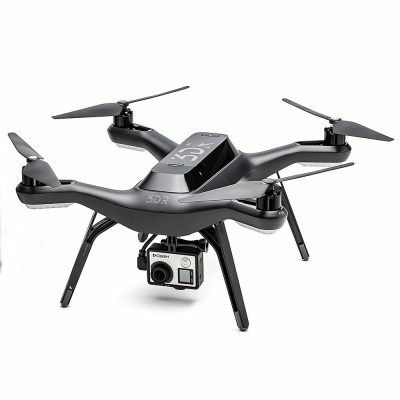 3DR Solo Quadcopter – As it comes with an Android or iOS application, it is easy to manage using the smartphone. Further, it boasts of an intelligent processing ability that helps it rank among the smartest buys in this category. Keep in mind that you would need to add the solo gimbal for better stabilization and smooth footage. (Compatible with Hero4 Black/Silver and Hero 3+). DJI Phantom 2 Quadcopter – This is equipped with self-tightening propellers and allows camera stability and proper video recording. The gimbal permits stabilization in roll, yaw and pitch, and prevents sudden jerks from distorting the video quality. (Compatible with Hero4 Black/Silver and Hero 3+). The GoPro mobile application is a very convenient method of configuration. You don’t need to worry about the kind of phone you are using, since this app is supported by all Windows, Android and Apple smartphones. It allows you to click pictures and record videos along with live streaming of the contents. You can also configure the camera settings using this mobile app. 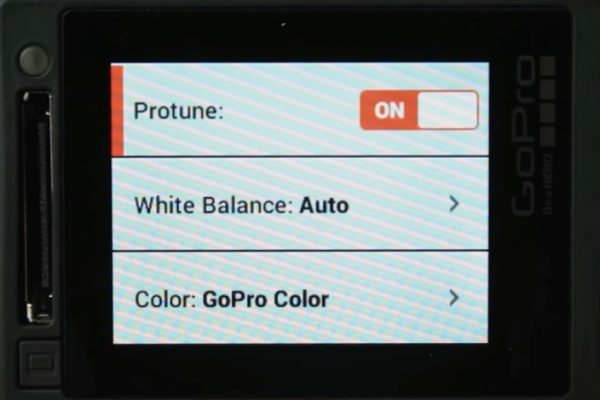 Configuring the settings in the GoPro app is hassle-free and involves only a few steps. In order to get a detailed idea about the scenario, let us take the instance of setting up the GoPro Hero 4 with a drone. Firstly, make sure your camera is turned on so that it can be detected by the smartphone. Then connect your smartphone via your camera’s Wi-Fi. This can be tricky step for those who are not quite acquainted with pairing of GoPros with smartphones. If you are finding it difficult to connect your smartphone with your GoPro, you can check here how to reset a GoPro WiFi password. Once that is done, launch the GoPro app. Click on Connect and Control to proceed further with the configuration process. If the connection is successful, the app loads a streaming video feed from the camera and allows options that can let you manage the camera from a remote location. In order to configure the camera, click on the Wrench icon. As the screen loads, several options are displayed for the user to choose from. Change the resolution to 2.7K in the Video Settings section of configuration. Choose FPS (60fps is good). Change FOV to Linear in the Settings. Finally, click on Done in order to complete the process. You can choose lower or higher resolution if you like, it’s really up to you. All the above can be done via the camera itself, I just like to use the GoPro App as I find it easier to change settings on my iPhone screen. I usually go with 2.7 at 60fps for recording aerial footage because it makes the footage more fluid. But it’s up to you to choose, you can shoot with 4K or 1080p if you like, it all depends on the cameras specs whether it handles 4K or not (Hero4 Black and Hero5 Black) both can shoot in 4K at 30fps. What I also recommend is turning Protune ON to access more camera settings like white balance, ISO, color capture, exposure value compensation (EV) and sharpness. It produces larger video files but it’s worth it, spend some time playing with these settings and you will see a big difference in your footage if correctly applied. Well, now it’s time to attach the GoPro using the frame mount that comes with the drone and do a fly test. You will now be using the drone’s app to control the GoPro while flying. You will be able to see if the video footage is as per your satisfaction. Take it easy specially if you’re a beginner with drones. Keep extra batteries if you’re planning to fly for more than 20-25mins. Know your video settings to get the most out of your GoPro. Prior to the development of drones, aerial photographs and videos used to be shot from aeroplanes or helicopters. This process used to be cumbersome and expensive. Once drones came into play, this entire process has become easier and more affordable. GoPro cameras provide excellent image quality with the highest kind of resolution and are, therefore, preferred by action photography enthusiasts over its competitors in the market. However, it is important to understand which drones are compatible with your GoPro and which aren’t. All those listed above come with GoPro compatibility and can be maneuvered using the drone app. The drones that are to be managed using a remote control may encounter glitches due to interfering with the wireless communication system. All these factors are needed to be checked before opting for a suitable drone.